I don’t usually carry rocks in my running vest–I am not that much of a trail running masochist–but Timorese dogs can be a tad territorial and it pays to be prepared. Please don’t be put off by the dogs though, as trail running in Asia’s youngest nation is an experience not to be missed. East Timor, or Timor-Leste as it is also known, is about as far off the trail running map as you can get. There are no organized trail running events that I am aware of here, nor are there many trail runners. That said, the country is positively bursting with excellent trails to explore. 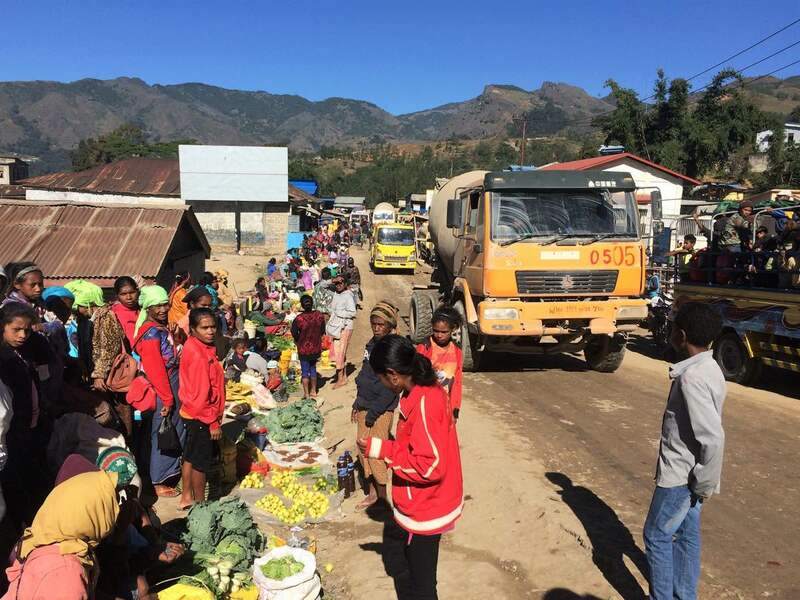 East Timor is very mountainous, and while the road network is improving, there are many villages and places that are only accessible using rutted four-wheel-drive tracks, walking trails, and goat tracks. You won’t see many locals out running on the trails but you will see them collecting firewood, carrying their farm produce to the market, or walking home after a day in town. East Timor is located about 680 kilometers miles northwest of Australia in maritime Southeast Asia, in the Southern Hemisphere. As the name suggests, it is located on the eastern half of the island of Timor, and also encompasses Jaco Island off the eastern tip, the island of Atauro just off the coast from the capital city of Dili, and the enclave of Oecussi in the western part of the island. East Timor was a colony of Portugal for around 400 years before being invaded by Indonesia in 1975. Following a 25-year independence struggle and referendum in 1999, the country gained independence in May of 2002. Today, this vibrant young nation of just over one million people is working hard to diversify its economy from a reliance on petroleum and to provide opportunities for its citizens. Agriculture and tourism offer some potential. The country produces excellent coffee and while tourist numbers are still small, the country is an unexplored gem for adventure tourists. If you love trail running, hiking, mountain biking, diving, and unspoiled cultural experiences, you should definitely visit East Timor. 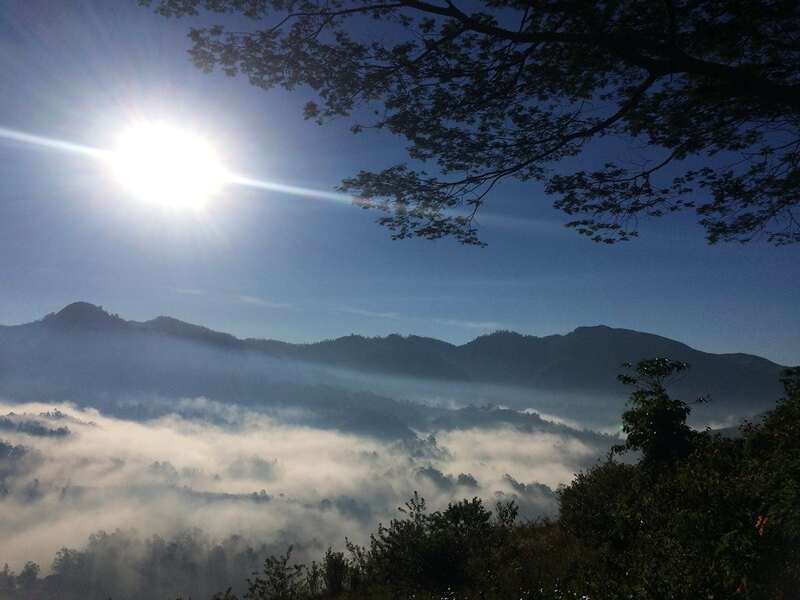 The sun burns off the fog in Maubisse valley of East Timor. I am up at 1,400 meters in the mountain town of Maubisse, 70 kilometers south of the capital Dili. In the pre-dawn darkness, I am searching for a couple of suitable rocks using the light from my headlamp. I am about to head down into the valley from the old Portuguese Poussada where I am staying with my family for the weekend. I know from the previous evening, when I took my young son out for a pram run around town, that there are a couple of boisterous dogs near the front gate to the Poussada. I don’t want to be surprised by them or any other village dogs in the dark, so I grab a couple of suitable rocks just in case and head off down the hill. In my experiences with Timorese dogs so far, they usually display more bark than bite, and as long as you pick up a rock to pretend to throw, they usually back down. The Poussada sits atop a small hill in the middle of the Maubisse valley, surrounded with 360-degree views of the mountains. It is a truly spectacular place. I head down to the bottom of the hill and then peel off to the left down a dirt road which winds it way down a couple of hundred meters into the valley. The sunrise is just peeking up between a gap in the hills but I keep my headlamp on for the first 20 minutes of the run. It is a Thursday morning, and Thursday is one of the big market days in Maubisse. Even at this early hour, I pass numerous people on foot or on horseback coming up the hill with produce from their farms to sell in the market. Given the elevation, a diverse range of temperate vegetables are grown around Maubisse. There is even a pick-your-own strawberry farm in the valley, which I can tell you is a pretty exciting thing in a tropical country! Not that I usually get sick of mangoes, but it is nice to have variety. After I pass the strawberry farm, the dirt road turns into a walking track. The sun is slowly coming up but a thick fog still hangs in the valley, giving everything a soft focus. The track alternates between sections of sticky clay, smooth singletrack, and a few more technical rocky sections. There is plenty of up and down too and with the altitude I conservatively hike most of the uphills, stopping frequently to take photos and enjoy the views. This is a morning of pure exploration. I have never been here before and I don’t have any clue where I am going. All I know is that I can head out for approximately an hour before having to turn around and head back to help with my children’s breakfast and prepare for the day’s activities. I decide to stick to the main track, although there are many intriguing side branches to explore on future visits. I pass several small farms, always keeping an eye out for dogs. There are a couple of creek crossings and then I enter a section with tall shady trees with coffee bushes growing underneath. The track rises and I start to ascend on the other side of the valley. Taking produce to the market in Maubisse. I get back reasonably on time and we enjoy the morning walking around town exploring the market. 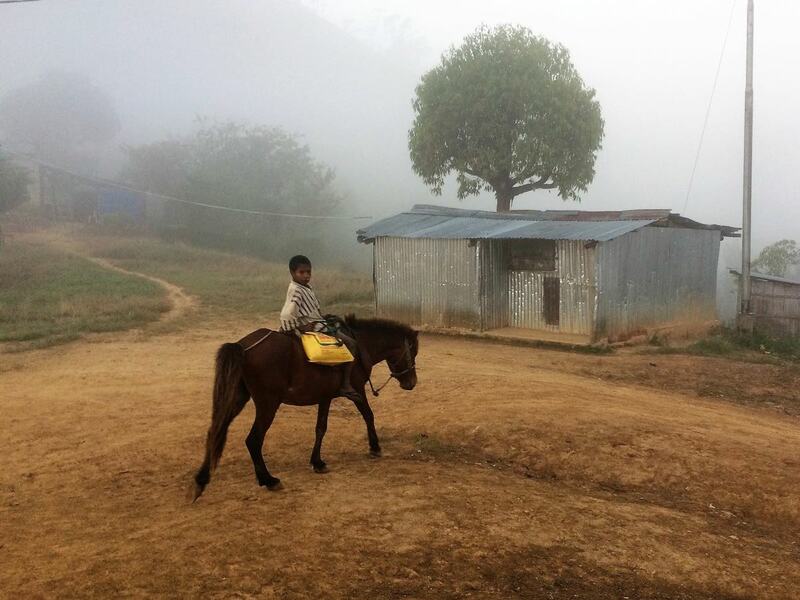 My three-year-old son also has his first ride on a Timorese mountain pony and is suitably chuffed by the experience. All in all, Maubisse is a fantastic place to visit for trail running and experiencing Timorese mountain culture. It is only about an hour to drive from Maubisse to the start of the hike up Mount Ramelau, so you can use it as your overnight stay. 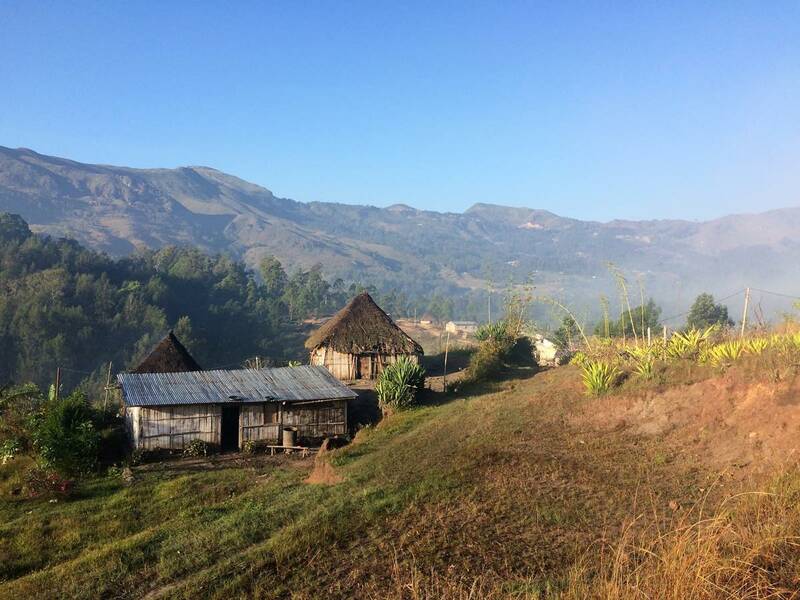 That said, most people choose to stay closer to the start of the hike in the town of Hatubulico. I live in the capital city of Dili. You will fly in an out of Dili if you choose to visit East Timor, unless you come overland from Indonesia. There are daily flights to Dili from Bali in Indonesia and Darwin in Australia. There are also weekly flights from Singapore. 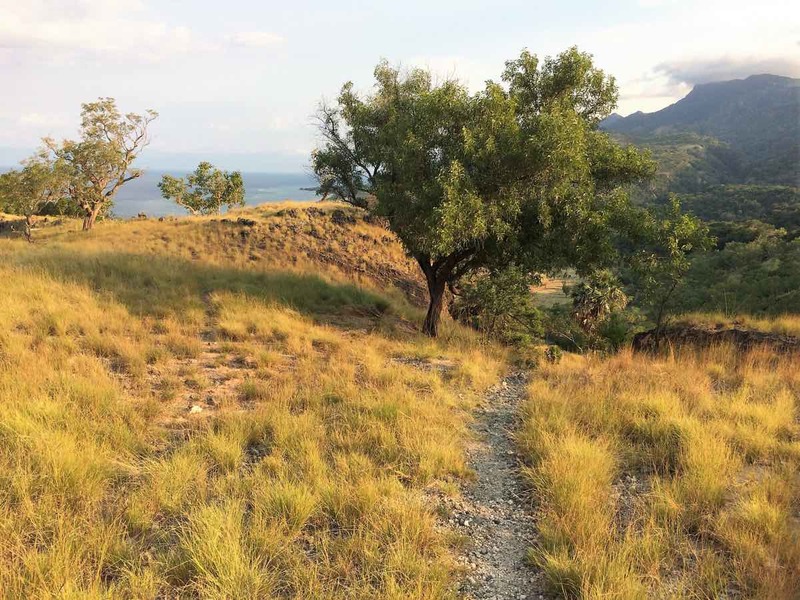 There are plenty of great trails in the hills right around Dili itself. You can go from sea level up to 500 meters in a couple of kilometers, so some of the trails are plenty steep. There is a nice 12-kilometer ridge loop behind Tasi Tolu, the beach just west of the airport. The 10-kilometer Horta loop on the other side of town is also pretty popular and is a combination of road, stairs, and trails. Breakfast and a fresh coconut at the beach afterward make it extra appealing. 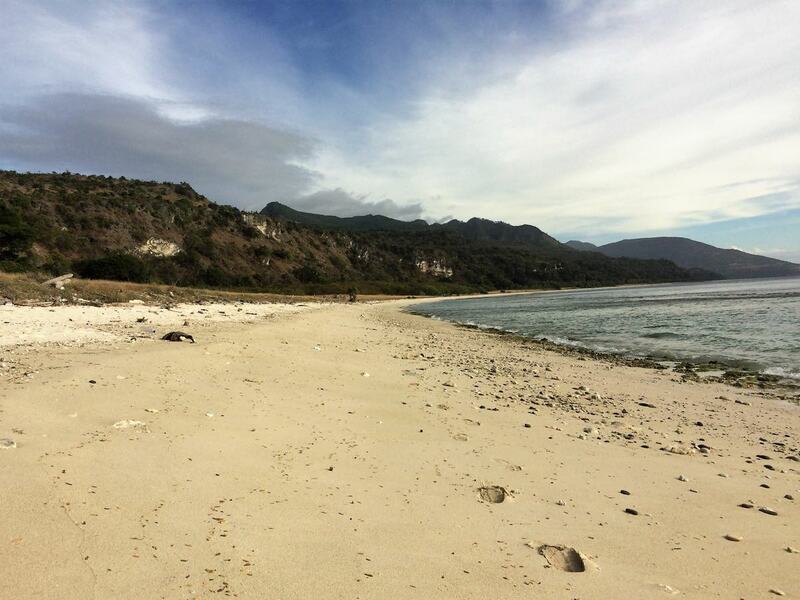 The other place in East Timor where I have done some excellent trail running is the island of Atauro, located about 25 kilometers off the coast from Dili. There are a number of boats that head out there each day, from cheaper ferry options to faster private boats run by the various resorts or dive operators. There are two main areas to stay on the island. On the east coast of Atauro is the main town on the island called Beloi. This is where the ferries dock and where the larger accommodation options are located. On the west coast of Atauro is the small village of Adara. 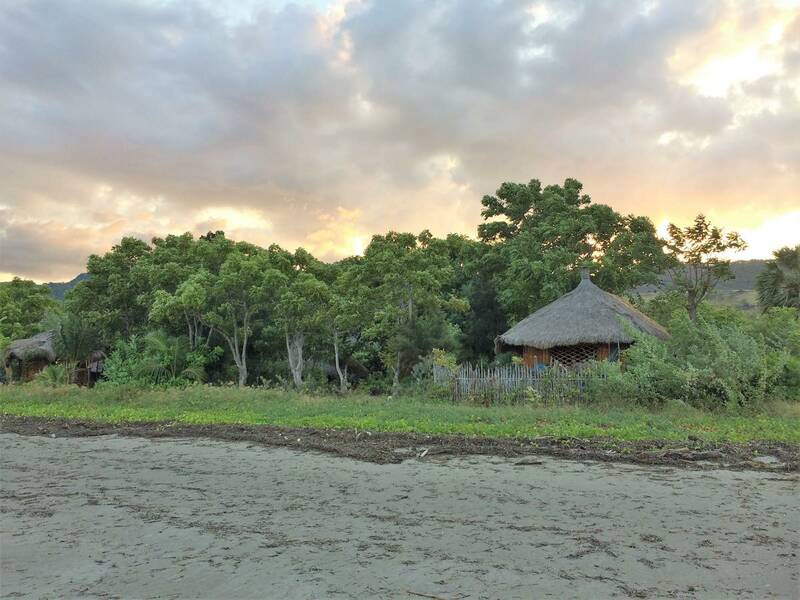 This is little more than a health post, a handful of houses and two eco-resorts on the beach (think camping in thatched huts with an open-air kitchen and bucket showers, rustic but beautiful). It is about a 12-kilometer run or hike across the island between Beloi and Adara. Atauro Island is a trail running paradise. The island is about 25 kilometers long and nine kilometers wide. There are almost no paved roads on the island (apparently there is a small section somewhere but I haven’t seen it). From Beloi, a rough crushed limestone road runs about seven kilometers south along the coast to the airfield and the village of Vila, and about seven kilometers north along the coast to the village of Bikeli. There is also a very rough dirt road that runs inland and along the ridge that forms the spine of the island. The rest of the place is walking trails and beaches. In a word, it is perfect for trail running. On my first visit to Atauro, I went on a diving trip and stayed in one of the eco-resorts at Adara. I took my running shoes and in the early mornings and evenings I headed out to explore some trails. Heading north from Adara you run on beautiful sandy and pebbly singletrack just behind the beach, which then alternates with beach running and a bit of scrambling across spectacular limestone headlands. 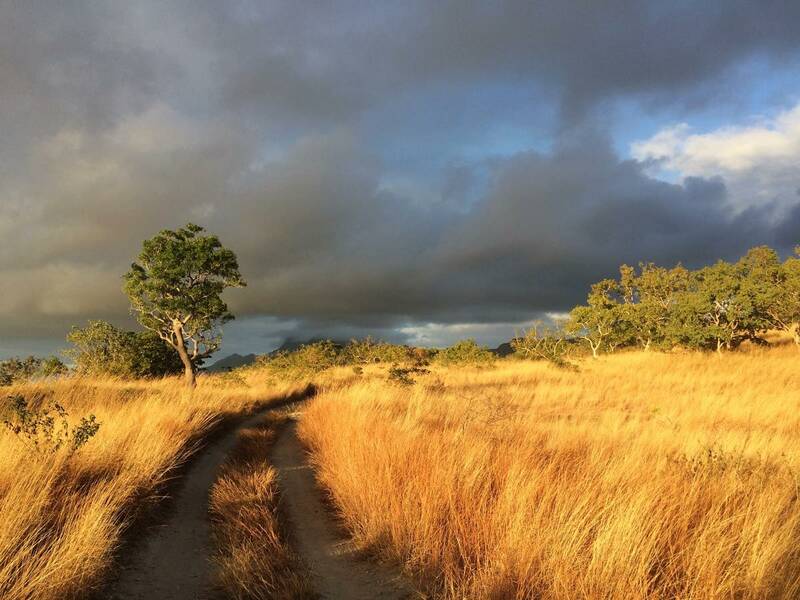 South from Adara, you can run on the beach at low tide or head up a trail onto a limestone plateau and run through tussock grasses and sugar palms. Beach accommodation on Atauro Island. On more recent trips to Atauro, I have stayed at the more family-friendly accommodation in Beloi and explored the trails and roads both north and south of town. I have also headed up the track into the mountains. This starts with a short sharp climb up horsefly alley, so named after the vicious biting flies that attack your legs. Best to keep moving and not linger for too many photos, which is hard to do because the scenery back down the coast is so spectacular. You run through grassland and scattered eucalyptus trees from sea level up to about 320 meters in about three kilometers. Then the road forks. The left branch heads along the spine of ridges and up to an inland village near the islands highest peak of Mount Manukoko at 999 meters above sea level. The right fork takes you through some golden tussock grasslands and then down to a small creek. This is where the walking track across to Adara peels off and the road continues to Doro village. There are many other villages scattered around the island, all linked by walking tracks. A bit of scoping of satellite imagery leads me to think it might be possible to do an approximately 30-kilometer loop of the whole northern half of Atauro island, using a combination of roads, trails, and beaches. I have only touched on a small number of the potential trail running areas in this beautiful country. There are so many more places to visit and trails to run. You best come and see for yourself. Only my footprints on the beach on Atauro Island. As previously mentioned, there is no trail running scene to speak of in East Timor. I am not aware of any organized trail races or ultramarathons, and aside from a few expats, not many people get out running on the trails. The Timorese people use the trails for getting from one place to another as part of their daily lives. That’s part of what makes it so thrilling running here. You get to explore a living, breathing, working culture when out running on the trails. Despite the lack of a trail running scene, if you head out early in the morning in Dili, you will see many locals and expats out running around town and along the waterfront. A lot of people also head out to the large Jesus statue at Cristo Rei, about 10 kilometers from the center of town to exercise, run, and climb the stairs. Each year in August, there is a marathon, half marathon, and shorter-distance races held on the roads in Dili. In 2017, a Timorese runner by the name of Romanio De Deus Maia won the Dili Marathon in a time of 2:26:46. His time was more than two and a half minutes faster than the gold-medal marathon time for the 2017 Southeast Asia Games, which happened to be held on the same day in Malaysia. It just goes to show that there is some serious running talent in East Timor. Romanio apparently trains up in the hills in the coffee country around Ermera. If anyone knows a good running coach and a sponsor with deep pockets, send them to East Timor! If you like to run far, don’t let the lack of organized ultrarunning events stop you. In November of 2017, my friend Scott Cunliffe set out to run from the south coast to the north coast of East Timor in under 24 hours. He managed to complete the 125.5-kilometer route with 4,140 meters of vertical gain in 23.5 hours. You can check out his run on Strava. It is broken into two parts, as it was recorded on two separate watches. See part 1 here and part 2 here. Now there is a FKT just waiting to be broken by someone. For those that enjoy hitting the trails on two wheels, there is a multi-day mountain bike race called the Tour de Timor, usually held in September each year. For more information on tourism in East Timor, check out the government’s tourism website. See also this website for information on Atauro Island and this map of the island. See this website for more information on trekking in East Timor. The U.S.’s Center for Disease Control and Prevention offers up health tips for East Timor travelers. Australia’s Department of Foreign Affairs and Trade has safety recommendations, too. Have you visited East Timor? If so, can you share logistical details you learned about travel to and from the country as well as your experience traveling in it? And this is going pretty far out on a limb, but are there any other iRunFar readers who have trail run in East Timor? Feel free to leave a comment and share your experiences, if so! Golden tussocks on central Atauro Island. As luck would have it I am going to East Timor on a two year assignment. I specifically wanted to go there to test the running scene! I did visit East Timor, very quiet island with very frindly people.We enjoyed a trip in a small Don Bosco built boat and visited the world heritage jungle. As we returning 6 dolphins were guarding us 3 on each sides. That was most impressive and spectacular. We are planning for another visit with many of my friends. God Bless this great tiny island ! Great write up. We could use more of this here. Thanks for the positive feedback on this type of article, a part of our longstanding Destination Dirt series, https://www.irunfar.com/category/destination-dirt, which we’ve been doing since 2010. We try to publish three to six of these articles each year, written by locals or people who spend a goodly amount of time working or visiting a place. And we’ll certainly keep after it in the future, too! 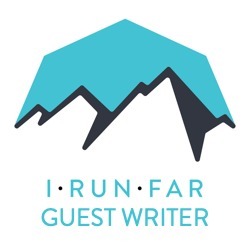 On that note, if anyone reads this who loves your local trail running location and it’s one we haven’t published a Destination Dirt article on before and you’d like to create that article, get in touch so we can work together to do so. :) Thanks! This article warms my heart. I spent 6 weeks on Atauro and know those paths well – the cross-island trip between Beloi and Adara was a favorite. The horseflies get less intense once you pass that initial climb. I’ve also heard great things about the route from Beloi to Akrema via dirt roads and beaches. Bring as much fresh water as you can comfortably carry. I found it difficult to get enough protein while I was there – I wished I’d brought a bit of protein powder and some multivitamins. While the trails (and quiet dirt roads) are lovely, the real amazement is underwater – the waters around Atauro are some of the most biodiverse in the world. I’ve been to Timor a few times for work; mostly around Laclubar and Soibada, Central Mts. I do a bit of running during the little free time I have between the long walks I do for work up the steep hills -I’m working on a reforestation project-. Thinking of running from Laclubar to Soibada… one day.